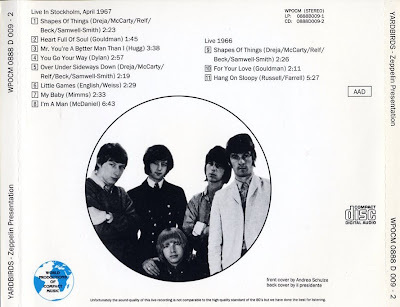 tracks 1-8 April 1967 Stockholm - This is a mono soundboard recording very clear and balanced. 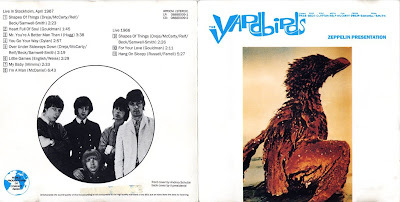 Probably from a flawless vinyl (only very few pops are present at the very beginning of the recording). tracks 9-11 1966 Unknown Location - This is an FM mono recording clear but with audience noise. Probably from a vinyl (some pops are present here and there). Artwork included.